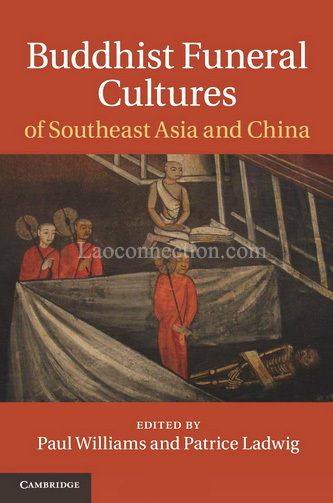 The author discusses how the dead are handled by the Phunoy ethnic minority group in Phongsaly, Laos. They are highlanders of Tibeto-Burman backgrounds who settled in Laos quite along time ago and adopted Buddhism as well. Even so, some of their customs might be considered different from mainstream, larger Lao population. I won't go into every detail on this chapter but I would like to mention some points of interest. For example, the parts dealing with who were considered the "bad" dead was particularly thought-provoking. The Phunoy criteria to consider someone as a "bad" dead are children who die under the age of 10, women who die during childbirth, and someone who had suffered a violent death. Furthermore, the rituals behind how the "bad" dead are perceived and handled are starkingly different from those of the "good" dead. They are not accorded the same ceremonies as someone who was considered a "good dead". From the varying and reduced ceremonies to where they're buried, they are separated from the "good dead" and family members of the "bad dead" are encourage to sever ties emotionally to prevent the spirit from the returning and influencing them. The Phunoy believe there are 9 souls not just 1. In short, the ceremonies for the good are essentially to encourage the soul (vinyan) of that person to make it to heaven (savan). And the ceremonies for the bad are meant to encourage the soul not haunt the living and to try to move on. The ceremonies involve private family members, to ones overseen by monks and another by a sort of soothsayer (witch doctor). Personally speaking, I've been to Lao funerals so I've always had an idea of what goes on. I suppose I had never thought about the differences between bad and good dead. I only assumed everyone was accorded the same rites and ceremonies upon death depending on the financial abilities of the family. Reading this was captivating. On a positive note the author ends the section by stating that the division between good and bad dead is changing. And that the label of "bad" dead is softening and omitting rituals for them is not happening as much anymore. Instead the community is beginning to accord the same offerings and rituals that were originally reserved only for those of the "good" dead. 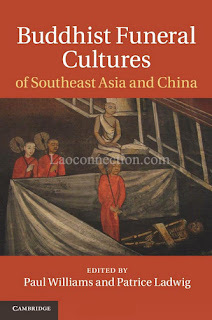 In the subsequent subsections, the author goes to discuss Lao New Year as being very important for the Phunoy (as it is for many Lao people). However for the Phunoy there is the added emphasis of commerating and to give offerings, not just to Buddha but also to others who have passed away. It's an interesting note because at the same time, as the author points out, it is also simultaneously a festival of renewal and rebirth as well. The author discusses broader Lao practices when it comes to funerals, links to Buddhism and more specifically, he focuses on the practice of giving offerings and feeding to the dead. This practice is manifested primarily in the two festivals of boon haw kow padapdin and boon haw kow salak.The boons are related to acknowledging and praying to deceased ancestors or family members, feeding the spirits of those the giver knows and those unknown to the giver. Why feed the dead? As the author explores and elucidates, it is so that the dead give blessings and protection to the living. The author also goes into the Buddhist origins of these festivals, namely the story of (i) Mogallana and Maleyyadevatthera and (ii) Bimbisara. The story of Mogallana has meld with that of Maleyyadevatthera and Phra Malai. The story of Mogallana, a disciple of the Buddha who possessed supernatural powers, was said to be able to travel through the cosmos. In one story he visits hell but finds no one. He asks the Lord of Hell where everyone is. It turns out that one night a year he releases all the spirits for them to roam and to eat. Upon hearing this, Mogallana shares this story with the others. His story spawns a new practice which then becomes ritual and that culminates, in modern times, into a festival to feed the dead. The focus is directed to those who are known and unknown to the giver, including deceased loved ones and spirits of strangers. In the story of Bimbisara, in short, it's about how Bimbisara gives to the Buddha without making dedication to his deceased relatives who become distressed in the world of the dead. Buddha reminds Bimbisara that he has dead ancestors that must be acknowledged. Bimbisara responds that he simply didn't know of them. And so the socialization of the spirits and the interaction by feeding previous ancestral spirits is borne. The book goes into a lot more detail but hopefully what I've shared here will spark your interest. Highly recommended reading for those interested in this topic. Side Note: This author Patrice Ludwig was also involved in creating a video documentary about these 2 boons regarding feeding or commerating the deceased - namely the festivals of boon haw kow salak and boon haw kow padapdin. Here's the Youtube link.